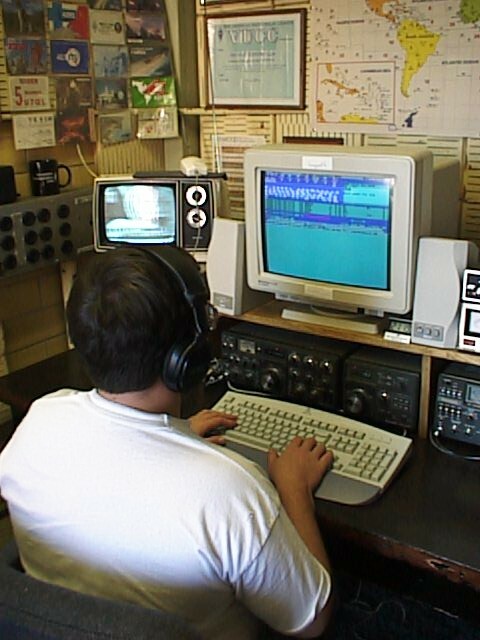 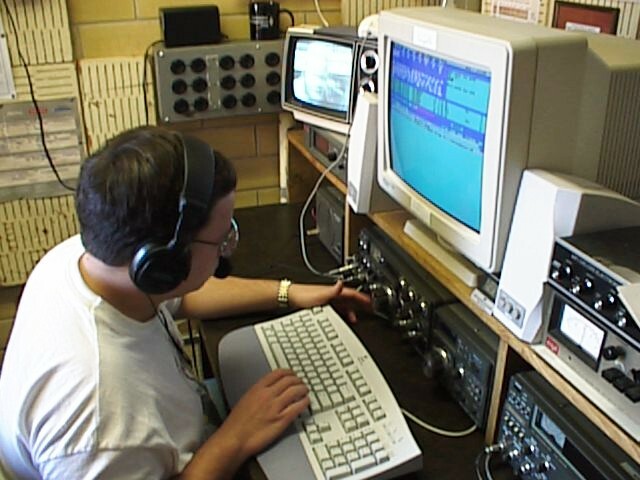 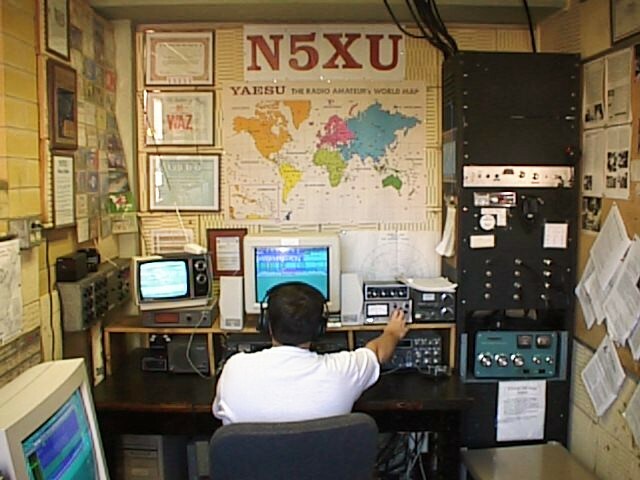 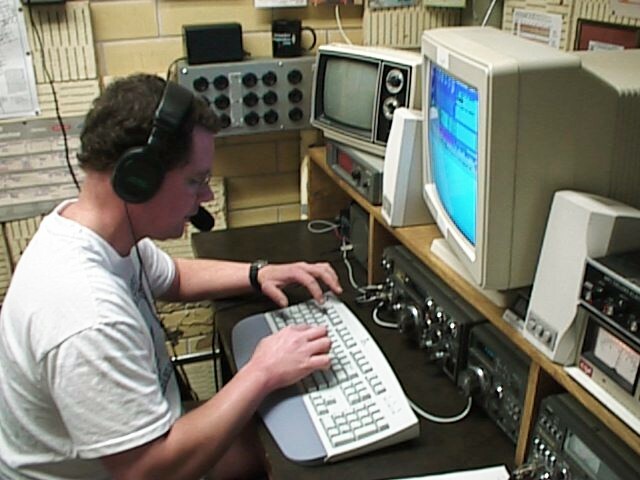 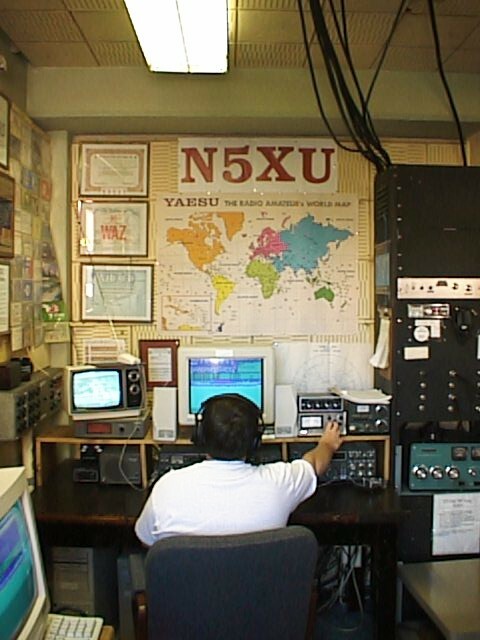 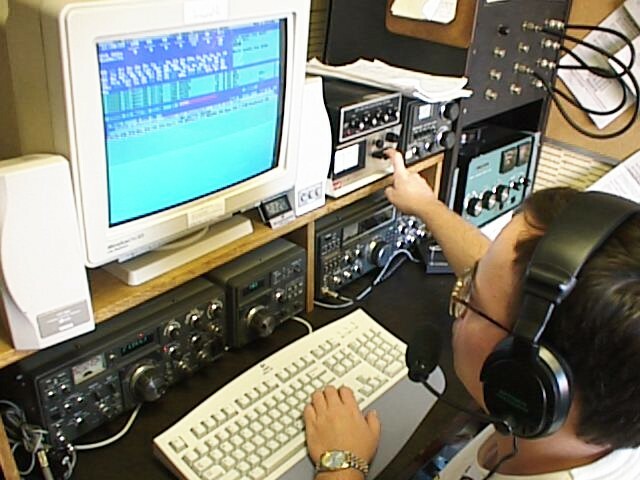 Ken (KM5FA) at the controls of N5XU. 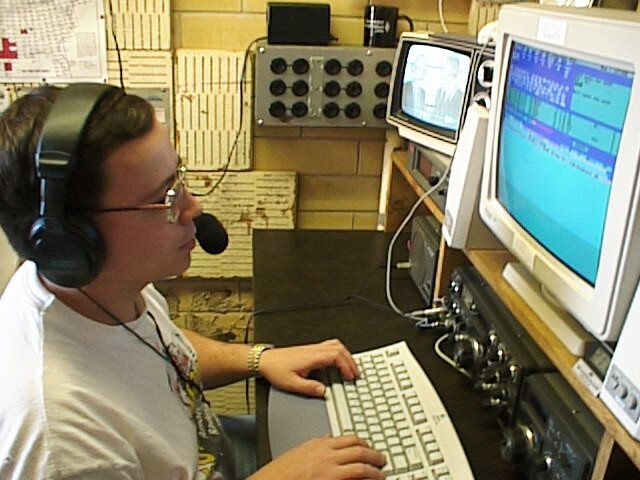 The black and white TV on the left would sometimes be used to watch UT football games on Saturdays during contest season. 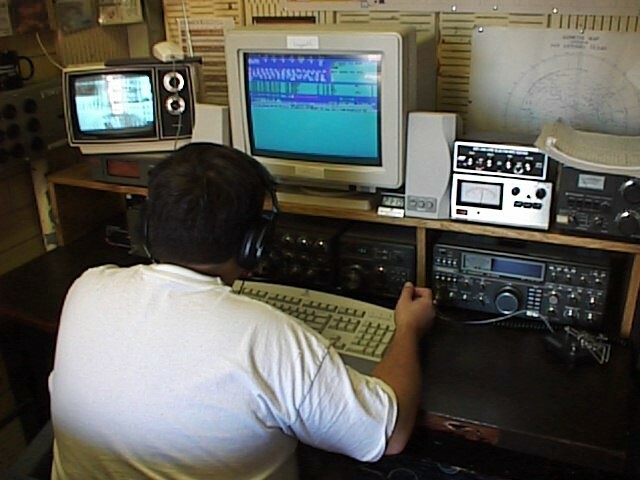 Ken (KM5FA) activating the rotor to turn the club’s HF beam antenna. 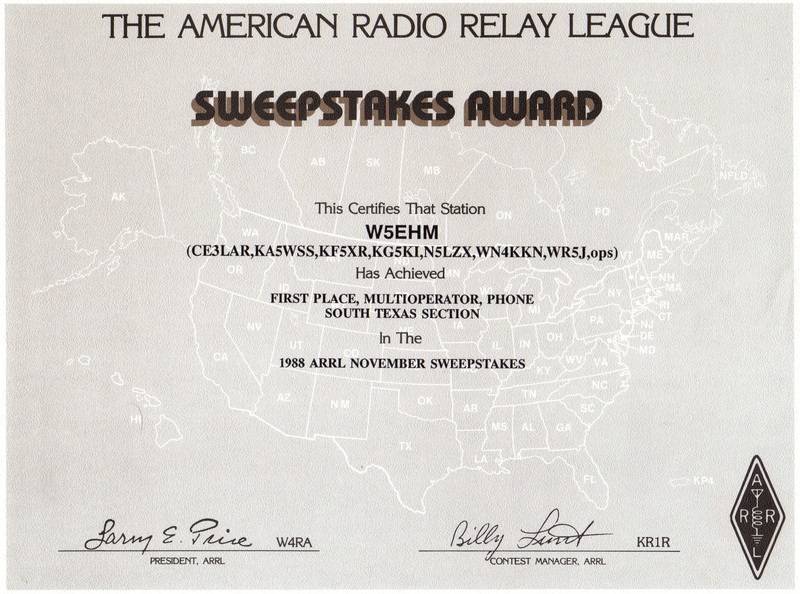 Note the feedline coming out of the top of the panel leading to the roof. 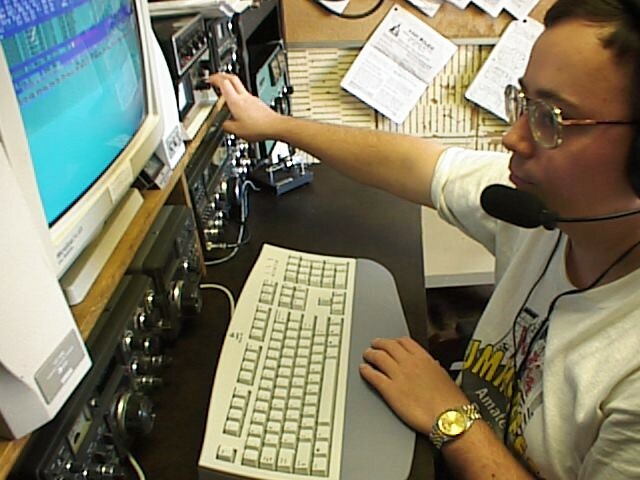 Kevin (KT5I) at the controls.